Experimental Cinema es un sitio abierto a la publicación de cualquier tipo de texto, crítica, entrevista, etc, relacionado con el cine experimental y el videoarte. Envíanos tu texto a [email protected] para su consideración. Queer Moving Image Review is an online exhibition space designed to showcase queer artists working in time-based visual media. We screen one piece per month and accept submissions on a rolling basis. To submit please fill out our Submission Form. We are also accepting written articles pertaining to queerness and moving image, if you have a proposal for an article please fill out our Article Submission Form. Pugnant Film Series is a nonprofit organization that organizes screenings of underground, dada & auteur cinema in Athens & Greece generally. >We exhibit film screenings on streets, on squares, on cafes, on archaelogical sites, on overnight shows, on nomadic events and of course on cinemas. 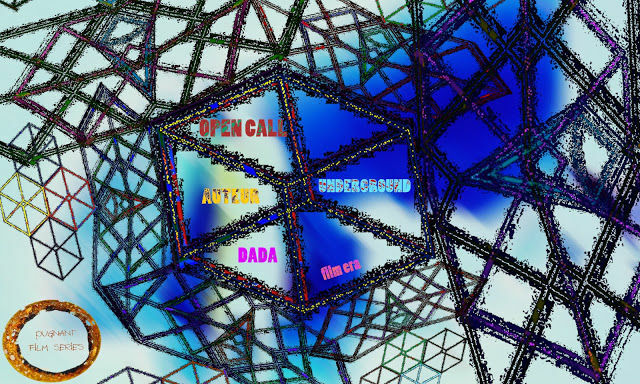 We are looking for films from UNDERGROUND, AUTEUR and DADA era. This is a continuous call. There are no restrictions on the duration of the film, the year of production or the genre. But we prefer recently produced films. Send us your abstractions, your doodles your visual music yearning to break free! The iotaCenter is requesting your experimental films to show in our Salons, promote in our Quarterlies and generally keep up with our community. Submissions are now closed and will reopen in May 2018. The UMW Media Wall is now accepting submissions for the 2015-2016 academic year. The Wall is a one-of-a-kind moving image exhibition space located in the atrium of the Information and Technology Convergence Center at the University of Mary Washington in Fredericksburg, VA. The Wall is a large scale high definition video canvas composed of 43 separate Prysm Laser Phosphor Display (LPD) tiles arranged into a freeform array that measures 10 feet wide and 12.5 feet tall. PoetryFilm celebrates films based on poems, poems turned into films, collaborations, text-based films, and other avant-garde text/image material. Events feature short films accompanied by live performances or discussion. Submissions are welcome and ongoing: please fill in a submission form and send in together with your film. The next event will be in London in March 2013. Theme: material exploring cycles, circles, sequences, planets and patterns. MIA is a brand new series screening the work of artists working with moving images. Moving image art includes experimental film, video art, installation art, performance art, essay films and animation. The series is curated by artist Alanna Simone. Screenings take place at 7PM, every 4th Friday at The Armory Center for the Arts, 145 North Raymond Avenue, Pasadena, CA 91103. While there is no thematic requirement for submissions, upcoming programs will focus on language, ecology, the mechanics of dreaming and relationships with food.